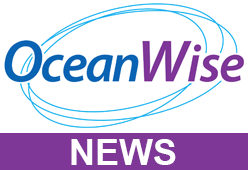 OceanWise’ intelligent marine mapping data is now accessible to students in Further and Higher Education across the British Isles via Digimap™ the online map and data delivery service provided by EDINA, based at the University of Edinburgh. EDINA works with data partners such as Ordnance Survey, British Geological Survey, Centre for Ecology and Hydrology, Getmapping plc. and OceanWise, to offer access to a variety of data collections for the purpose and benefit of education and research. Digimap™, one of their many innovative online tools, allows students and researchers to create or interrogate mapping online by selecting an appropriate base map, adding annotations and customising the content, using measurement and query tools to learn more about any study area. “So often mapping detail ends dramatically as soon as you reach the coastline leaving the marine environment depicted as a generic blue abyss. In reality, land does not end at the coastline and access to bathymetric (the underwater equivalent to hypsometry or topography) details of the seabed and its features, is equally as important as land features. EDINA’s excellent Digimap™ service means that students can access our Raster nautical charts (either with or without land) and our specially developed Marine Themes Vector which is a feature rich dataset that allows you to turn layers on and off in GIS, thus aiding analysis and giving the user the option to view only the specific features they want” (John Pepper, Marketing Director OceanWise). To find out more about how Higher and Further education institutions in the UK can subscribe to the Digimap™ service, please visit their website. For further details about our marine mapping data please click here.